This City Adventure sandal takes our urban anti-fatigue technology into a more rural setting, offering supreme comfort throughout the day whether you're strolling, hiking or trekking. 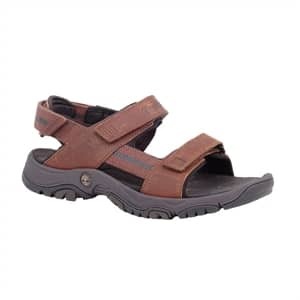 With a rugged rubber outsole that'll see you through years on the trail and a shock-absorbing midsole layer of conical structures providing all-day support for your feet, this is a great multi-purpose sandal for everyday wear. Imported.